On-hold marketing will turn your hold messaging system into an unpaid salesperson! On-hold marketing is a good way to improve how customers perceive your company and improve their wait while they are on hold. We’ll take a look at some on-hold marketing questions to help you find out more about marketing on hold. On-hold marketing and on-hold messaging are synonymous. It’s a service that is commonly used by businesses and organizations of all sizes to deliver information to their callers who are waiting on hold or while they are being transferred. On-hold marketing helps to retain callers who are on hold, enhances your company’s image, and increases sales by promoting your products and services. Callers often make a buying decision after hearing a message while on hold. What Is The Difference Between On-Hold Marketing And Queue Marketing (If Any)? On-hold marketing refers to marketing messages played to callers who are waiting on hold for assistance, while queue marketing refers to marketing via phone or physical line, i.e., while a customer is waiting in a queue to check out at the register in a grocery store. When a customer or prospect calls you, before the phone rings in your business, they are in the same “queue” and are already in a buying frame of mind. It is the perfect opportunity to play a 15-second message about another product/service or, simply, why your company is the better choice. This is the same concept for each form of marketing. What Is The Difference Between On-Hold Marketing And Advertising On Hold (If Any)? There is no difference between the two as both involve business calls that are placed on hold. 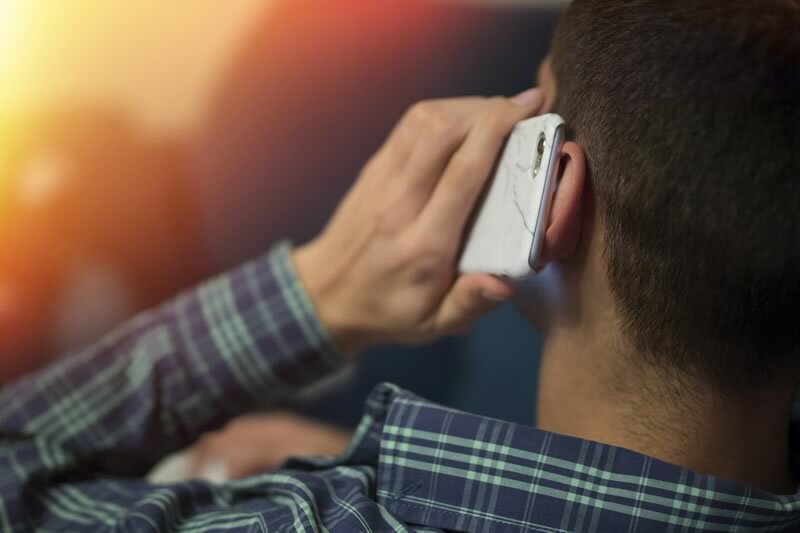 It is said that callers make a buying decision after hearing an on hold message and that, without on hold messages, over half of callers are likely to hang-up in less than one minute and not call back. How Will On-Hold Marketing Help My Business? On-hold marketing turns the time your client is on hold into marketing space and offers an opportunity to help to boost revenue by advertising products and services to existing or new audiences. It is a simple and effective way of informing potential customers about the products and services of your business and thus promoting and selling more. It also improves the perceived quality of your organization. If callers perceive shorter wait times, music and messages serve as a subtle but important reminder that they are still in the queue. It, therefore, increases profitability, and it reduces the number of callers who hang up while on hold. What Types of Custom On-Hold Marketing Messages Can Be Created? Educate callers on your company, location and business hours, your web address and any web-only specials. Tell your callers about your payment options or special awards. Advertise complementary products, additional services, and the everyday point-of- purchase items. Reinforce current/seasonal promotions and use testimonials from satisfied customers. Got a great deal running or inventory that is not moving? Let folks know about it! Answer common questions on hold. You will save man-hours and give your customers a better service. There are very few words that can have an impact on customers such as a simple thank you. Remind your customers how much you appreciate them – it can go a long way in forging a lasting relationship and reducing attrition. What Are The Benefits Of On-Hold Marketing? How Often Should I Change the On-Hold Marketing messages? Your On Hold Message Is Outdated: You do not want to tell your callers about a 2016 Black Friday sale when it is 2018! You Have Something New To Promote: This is a perfect opportunity to remind or inform callers of new promotions. Recent Successes: You want to tell your callers about any recent successes that they should know about like awards or sales records. What Does A Strategic On-Hold Marketing Message Sound Like? It paints a complete audio image of your brand. It blends your company’s slogans, products and services, latest news, and current promotions in a way that is always fresh and familiar at the same time. Then it adds depth and character to the message with the perfect voice talent and background music to showcase your personality. It also needs to be an easy process, with everything streamlined, so that you are 100% confident that you are running the right messages at the right time. It is your on-hold plan that is doing the job to keep prospects and customers focused on your business. What Is The On-Hold Marketing Message Process? When you approach our company for on-hold marketing messages, we will define your program’s objective and the content of your messages. Then our professional scriptwriters will compose a script that will help you get the most out of your on hold message. Once the script is approved, it will be studio recorded using our professional male or female voice talent, include any special sound effects or advertising jingles, and will be backed with pleasant music. The program is digitally recorded, edited, mixed, and mastered in a studio by our experienced audio engineers and provided to you in the required media format. What Size Company Is On-Hold Marketing Suitable For? On-hold systems are for all companies and sizes as they are easy to update and can be customized to suit any particular business’ style or need. Do I Need A License To Play On-Hold Marketing Messages On My Phone System? Yes, you need a license to play music from composers, authors and publishers. ASCAP and BMI use mystery shoppers to call businesses and visit lobbies and storefronts, so it is very important to use licensed music. In fact, you cannot just select a consumer version from a satellite music provider; you actually have to get the business version to ensure you are covered. Many businesses are not aware of this – until they get an astronomical fine. How Long Should The Recording Be? Standard messages are about four minutes in length and will include five to six messages (each about a paragraph). This can be more or less, depending on the length of the messages. The messages are usually 30 to 40 seconds in length. Music is placed in the background of the voices, (but lowered) and between the messages; programs are also available in other time lengths. In most cases, the playback equipment easily connects to the music-on-hold feature of the telephone system. An on-hold company will complete the installation. In some cases, a phone vendor may need to install the music-on-hold equipment. Will There Be Music In The Background And Who Chooses It? There typically is music in the background. Depending on the message-on–hold provider, you may get to choose the music from their library of licensed music. On-Hold Technologies is perfect in this regard. They have music licensing agreements with numerous music library companies, so you will have more variety to choose from, with genres ranging from classical, light rock, country, contemporary, easy listening, etc. Listen to our music samples here. The music should be matched with the script and your demographics. Many message-on-hold providers require you to complete a questionnaire so they can develop a script. This is where On-Hold Technologies is different. Their goal is to save you time, so they will ask you questions in an interview. All you have to do is answer questions. Their team of copywriters will develop a script for review and will also make recommendations on the music based on your demographics. Will The Caller Placed On Hold Always Hear The Beginning Of The On-Hold Marketing Message? 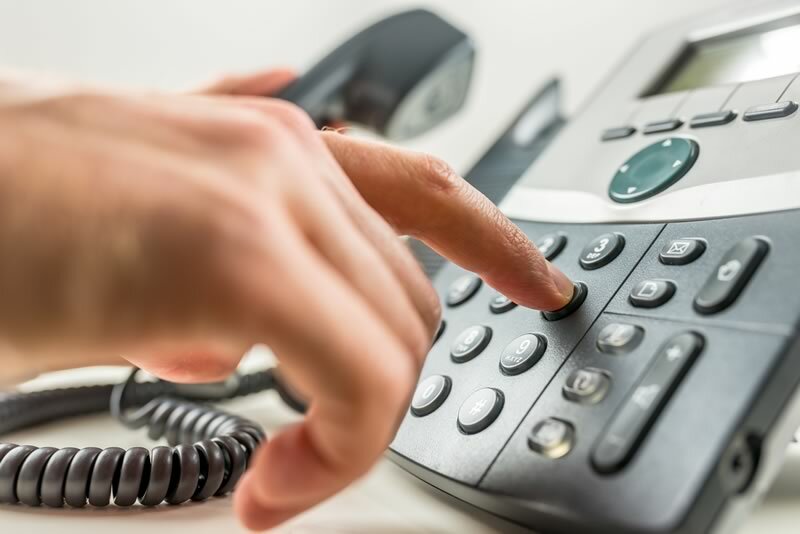 Typically, if you have a traditional phone system and a digital player is provided, whenever someone is placed on hold, regardless of how many lines you have, the messages are heard at the point of the program at which they enter. This is called multi-casting. The program does not start over each time someone is placed on hold. If the recording is provided in an audio file format (either mp3 or wav file) and loaded onto a phone system’s hard drive or onto a VOIP phone service provider’s system, the messages will unicast (start at the beginning every time a caller is placed on hold), so callers may only hear the first 30 to 45 seconds of a recording and never hear the rest. In this scenario, it is recommended that the recording be remixed and uploaded periodically with a different starting point so the caller hears new information and does not begin to tune out the recording. Focus on how you can help them better than your competition. They want to know what makes you different from the other people they found on line. Unless you do, you will not know what information you should include. Short or long, your script should include all your most important ideas. The script writing process starts by talking about what you are trying to accomplish every day (and not just with your messages on hold… in every aspect of your business!). If you’re just giving callers your “hours, location, and a list of your products,” you’re missing out on an opportunity. If you are hiring a message-on-hold company or paying someone to write your script, they should at least ask you about your goals. Use your message-on-hold service to educate your caller and make their decision-making easier. Include the information in your messages that deals with your callers’ “hot buttons”. When you address your callers’ concerns, they learn how you are their best choice! It all begins with your marketing strategy. On-Hold Technologies can show you how a great marketing strategy can help you dominate your market. Do not be afraid of marketing. It is just a tool your business will use to grow and succeed! Do they provide proactive and ongoing Technical Support? Do they understand your particular phone system? Can you listen to the voice selections before signing up? How many voice talents do they work with? Can you pick the voice talent you like best? Do you have to fill out a questionnaire so they can develop a script or will they interview you? 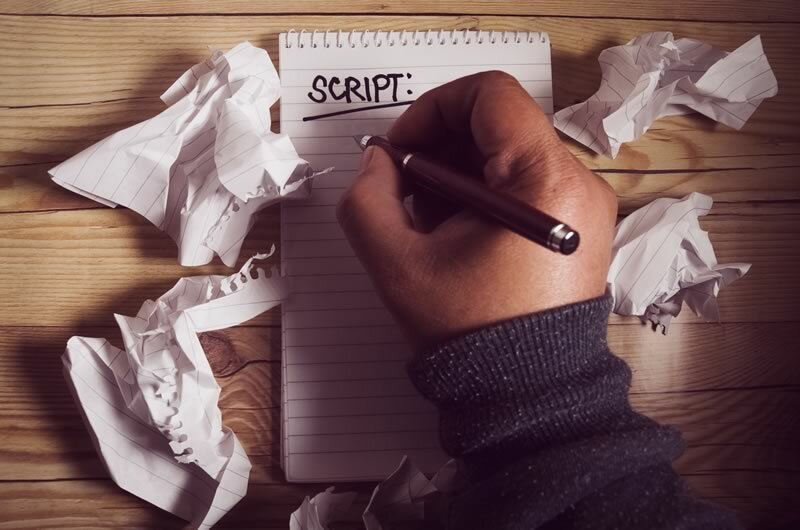 Can you write your own script and will they then review it and suggest modifications? Do they use professional copywriters to create your custom script or do they follow a generic template? Do they remind you to update the content in the recording? Is it possible to record in other languages? Will the recording contain background music? Will the background on-hold music be licensed so you do not violate copyright laws? Can you listen to sample demos of other on-hold messages in your industry? Do they offer customer support during regular business hours? Are they part of OHMA – On Hold Messaging Association or EMA – Experience Marketing Association? Are There Any On-Hold Marketing Statistics Available? 85% of respondents would recommend it to others. Users resoundingly believe in the value that on-hold messaging adds and that it leads to a high rate of client retention. While on-hold marketing is used by businesses with sales at all levels, most respondents sell big-ticket items/services ($500+). On-hold messaging is, therefore, said to be used by businesses of all sizes, representing a broad range of industries. As with any other form of marketing, when it comes to on-hold-message marketing, it is recommended that you choose a company with extensive experience in your industry and regularly update the message. Ideally, you want your on-hold marketing to be perceived as interesting, informative, and in touch with your clients. On-hold messages from On-Hold Technologies are perfect in reinforcing other marketing campaigns that you may be running on TV and Radio, in print, online or on Social Media. On-Hold Technologies is not just a leader in the on-hold messaging industry, but has received numerous awards for marketing and creative excellence. They have over 20 professional voice actors, plus voice actors with authentic accents and in any language. Contact On-Hold Technologies now for your on-hold messaging needs and for any on-hold marketing questions.